South London rapper who rose to fame after opening for legendary rapper Busta Rhymes at major UK music festivals. She's also played alongside the Section Boyz and Anderson & Paak. 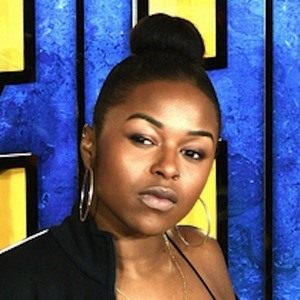 She went viral with her single "D.F.W.T," which has been heard across a variety of UK radio stations. She was working in a betting shop in 2014 before she made the switch to pursue music full-time. She has been endorsed by brands such as Adidas, DKNY, and Beats by Dre. Her father was a dancehall and jungle DJ and her cousin is DJ Stormzy. She grew up writing her own rhymes at the age of 13. She has been co-signed by singer Alicia Keys.